The Lenoir County SPCA consistently receives 2,000+ homeless dogs and cats each year, mostly due to unwanted & preventable litters. And that number doesn't include the homeless pets that we never meet....those that die as a result of disease/starvation, vehicles, humans, and other predators. Be part of the solution... Have your pets spayed and neutered! Call your local vet or animal shelter. Often they can give you info about discounts & payment plans for spay/neuter surgeries. Spaying or neutering will change my pet’s personality. The only behavior changes you’ll see are positive ones. Spayed or neutered animals make better compainions and are more affectionate. Males are less likely to roam or get in fights. Male cats tend to stop spraying if neutered young. She needs to have just one litter. Motherhood will not make your pet healthier or happier. In fact, early spaying greatly reduces the incidence of mammary cancer, and eliminates infections of the uterus and ovaries. Your pet can be spayed if she is in heat or pregnant. Please don’t let more surplus puppies or kittens be born! My pet will become fat and lazy. Lack of exercise and overfeeding cause obesity. Once hormones stabilize after surgery, your pet will not need as much pet food to maintain their weight, saving you money. I’ll find homes for all the puppies or kittens. Finding good homes for kittens or puppies is not easy. Just ask us. Many animals are discarded once they start to grow. And many will produce surplus babies of their own because new adopters promise to spay/neuter, but don't follow through. The pet overpopulation crisis is perpetuated one litter at a time. But my pet is a purebred. Your pet is a companion, not a financial investment. Due to poor breeding practices, many purebreds have significant genetic health and behavior problems. Besides, as many as 1 out of 4 animals in shelters is a purebred! I want my children to see the miracle of birth. Are you also willing to let your children see the tragedy of death caused by allowing yet another surplus litter to be born? What’s more, animals often go off by themselves to give birth. I want my dog to be protective. Spaying and neutering does not affect a dog’s natural instinct to protect home and family. The local shelter/humane society/SPCA will take care of them. But how? 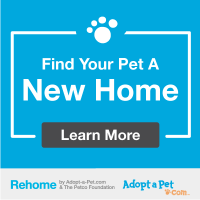 There are far more dogs and cats than available homes. Despite our best efforts and working with other pet rescues along the east coast, we still must euthanize beautiful, sweet, adoptable pets. I don’t need to neuter my male-he’s not the one having litters. Dogs and cats don't get pregnant by immaculate conception. Male pets can father many offspring, which makes you equally responsible for pet overpopulation. Preventing dogs and cats from having babies is unnatural. Domesticated animals are no longer ruled by the “laws of nature.” They have far more litters than in the wild. Spaying and neutering is the only way to end the cruel and unnatural overpopulation problem. I don’t want my male pet to feel deprived or less masculine. Don’t confuse human sexuality with a dog or cat’s hormonal instincts. Neutering won’t cause any negative emotional reaction or identity crisis. In addition, it greatly reduces the risk of expensive prostate and testicular diseases. It’s too expensive to have my pet spayed or neutered. Over the life of your pet, it isn't. Because of the resources listed above, spay & neuter procedures are more affordable than ever. The surgery is a one-time cost and a small price to pay for the health of your pet and the prevention of more homeless animals. You will also save money on pet food after your pet's hormones stabilize, because an altered pet only needs about 2/3 of it's normal amount of pet food to maintain his/her weight.